Your relationships have lifetime value. Understanding the power and impact of every single meeting and how to leverage your network is key to consistent growth. Strategies will be shared on how to build and nurture authentic relationships, stay in touch by adding value for others and ask for support and guidance when opportunity strikes. Ivy Slater is a professionally certified business coach, speaker, author and podcast host. After owning and operating a 7-figure printing business, having been in the industry for 20 years, she started Slater Success, which focuses on developing great leaders and facilitating business growth and expansion. Ivy holds masterminds and retreats with her private client base and corporate training on communication and strategic planning. She speaks nationwide on the topics of leadership, sustainable growth and sales. She is the author of Conquering Your Fear of Money: A Woman's Guide To Business Success, and From The Barre to the Board Room: Choreographing Business Success Through Authentic Relationships. She hosts a weekly podcast, “Her Success Story,” where she interviews gutsy businesswomen and some great men on their success journey. Money, along with household chores and children, is one of the most frequently discussed topics in a marriage or domestic partners relationship. This makes sense – you deal with each daily. Yet, financial conversations can be challenging and filled with emotion at times because you and your significant other do not see eye-to-eye… each of you probably have different monetary values and goals. However, healthy money talks may actually strengthen your relationship. When you and your partner are on the same page about financial matters, you row the boat forward together, instead of pulling it in different directions. Having the same goals will help you make the right decisions for your partnership as you chart your course. Explore your money profiles and how each of you view money uniquely. Understand these variances often can be a good balance in your relationship. Learn to respect each other’s valid opinion though you will assume different roles managing the house and finances. Embrace the power of shared goals and realize they can strengthen your efforts exponentially. Imagine how strong your marriage can be when you have honesty and transparency about your money. Ivy is a CERTIFIED FINANCIAL PLANNER™ practitioner, CERTIFIED BUSINESS EXIT CONSULTANT and CERTIFIED DIVORCE FINANCIAL ANALYST®*. She also holds FINRA Series 7, 63 and 65 security registrations and is fully licensed to provide Life and Health Insurance. She is a registered representative of Lincoln Financial Advisors Corp., a broker/dealer (member SIPC) and registered investment advisor. Carrie is a MASTER MONEY COACH focusing on money psychology, emotion, and behaviors; and a CERTIFIED DIVORCE FINANCIAL ANALYST ®. Carrie is a 30-year veteran executive with experience that spans banking and credit cards in 2 countries and brokerage in 6. She studied with both Olivia Mellan, author of 5 critically acclaimed books and Karen McCall, pioneers in the money psychology space since the 1980’s. *Divorce financial analysis not offered through Sagemark Consulting, a division of Lincoln Financial Advisors. *Behavioral Cents is a separate entity and is not affiliated with Lincoln Financial Advisors Corp. Learn to use the best available resources so you can get it right the first time! Women comprise an increasingly growing faction of business owners, looking for flexibility, independence, and control. This FREE informational webinar is for women who are aspiring or current business owners, career transitioners, semi-retirees, veterans, and others. FranNet is franchising’s oldest and most recognizable coaching outfit. Frank Dunne is an area owner, who helps entrepreneurs, executives-in-transition and others explore franchised business ownership, providing counsel on the benefits, costs, and risks of owning a franchised business. Clients are coached through a robust research, and selection process in a safe and professional environment, being navigated through a maze of leading franchise concepts. Utilizing cutting-edge profiling, and 1:1 consultative processes, Mr. Dunne helps match leading franchises that best fit each client's goals, skills, and interests on a no-cost/no-risk basis. Ready to own your brilliance, make a bigger impact, and make the money you know you deserve? Imagine waking up in the morning and smiling at your calendar. It is spacious and free; yet, you have a full roster of clients booked. Your business now allows you to serve ideal clients at premium pricing AND do all the things you love to do. You’ve got travel planned and time with the kiddos. You have time to create art and watch the sunset. Your bank account has more than enough money because you are making $10,000 every 30 days. You take 3-day weekends regularly – like very week! Why your Content Personality™ is your best marketing tool and how to use it to experience more joy and better results in your marketing. The path to building up your confidence in marketing and sales in just four steps. This means no more struggling when it comes time to market and sell your awesome offers. Why compelling offers, priced for profit, and invitation selling will bring you more clients than you have time to work with–and more money to do the things you want to do. In 2016 Shannon founded The Content Strategy Academy, where she champions and rallies entrepreneurs, teaching them how to market their businesses from a place of intuition and integrity—and create a life they love waking up to every.single.day. Shannon has been featured on CBS, ABC, The Boston Globe, The Huffington Post, FOX, and NBC. When she is not speaking and teaching globally, you will find her practicing yoga, snuggling her cat, hiking the hills of central Costa Rica, and whipping up new recipes in her kitchen, with her husband Michael. What is Digital Branding on Social Media? We can all do some social media on our own...post family photos on Facebook, connect with a colleague on LinkedIn, follow the Emmy Awards on Twitter...but do we know WHY we're doing it, WHO we are targeting, WHAT we're sharing, and HOW to create online connections that lead to real relationships? Let's discuss how to maximize your use of social media for your brand and your business, expanding on how to strategically market you and your business. In today’s world, social media is not just a leading source of information—it’s the driving force behind it. No matter what your business, you need a strong online presence to cultivate brand loyalty and earn long-term credibility in the minds of your prospects. Join us as Joan shares tips to growing your businesses by expanding your social media network to create online relationships not just connections. Joan will discuss how to discover and engage your target market, increase brand awareness, improve search-ability, attract new prospects, and deliver sharable content through key social media channels. Joan will discuss how you can connect and converse with your target audience online. Joan Pelzer is an Entrepreneur, and Founder, CEO & President of Joan Pelzer Social, a social media marketing agency, and a radio show Host of FollowMeFriday with Joan + Priya on TalkRadio.NYC. 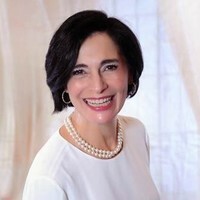 Joan is a connector and helps create & build relationships online that you can take offline as a social media marketing and online engagement strategist with clients ranging from entrepreneurs and small businesses, to musicals, to a UN-based NGO. Joan is National Social Media Strategist + NYC Chapter Director of What Women Want Networking, and is VP Marketing of The New York Association, a United Nations Non-Governmental Organization. Joan holds an MBA in Finance and International Business from Fordham University Graduate School of Business, and is a Returned Peace Corps Volunteer - Russia. Through her company, Joan helps create value-driven interactions that accelerate the connections between clients and their target markets. Through radio show Follow Me Friday with Joan + Priya on TalkRadio. NYC Co-Hosts Joan Pelzer and Priya Nembhard are your digital connectors...globally connecting thought leaders in an educational and fun way each week to light a spark, share some information and expand community. Review practical tips you can start doing regularly to start to feel better about money. Jennifer Faherty is a CFP®, Certified Life Coach and Founder of Financial Wealth-being. 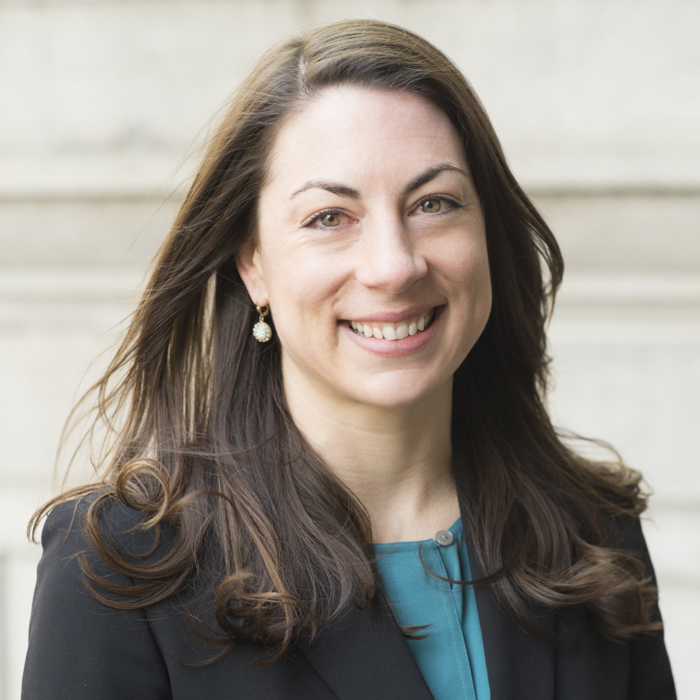 After a decade of working at traditional wealth management firms and helping clients with their personal finances, she saw how saving in 401(k)s, sticking to a budget and making sure your portfolio was diversified could only get you so far. Instead, the missing piece for achieving true financial freedom and wealth lies in changing one’s core beliefs around money. With this key knowledge, Jennifer teaches clients around the country on how to intentionally create new money thoughts to create a wealthier, healthier life. She specializes in helping moms make the right financial decisions for themselves and their families, as well as couples on how to communicate more effectively about money. Visit financialwealthbeing.com. Most people think negotiation is just for salaries, car or home purchases. Not so! When you learn the rules, you quickly realize you can negotiate anything -- landing you the best deals, the best opportunities and the inner confidence that you too can get to yes, while still being authentically yourself. Jill Davi is a professional financial coach who, for the last decade, has helped her clients dramatically increase their earning power (whether they work in corporate or own their own businesses.) She offers no nonsense, practical, measurable, real world strategies to help you focus less on penny pinching and more on earning what you’re worth! Her work has been featured in Business Insider, HuffPo, Fast Company, Forbes, LearnVest and more. Success in life is a function of our interpersonal relationships. Networking is a learned skill and does not require the personality of an extrovert. An engaging introductory conversation and exchange of business cards can build meaningful relationships when you implement a process for patient and purposeful follow-up. Creating a network of trusted friends and colleagues, who share information, introductions, mentoring will expand your opportunities for you, both personally and professionally. Recognize the process to network effectively. Implement techniques for using social media to support and grow your network. Are you considering buying a home? Is being a home-owner a goal of yours? This webinar is designed for first-time home buyers to consider buying vs renting, but anyone that is thinking about buying a home will benefit from this presentation. We will go through some examples that compare buying vs renting a property. Karina Sagiev has been in real estate for over 22 years. She combines her responsibilities of managing the company with being a successful real estate broker. Having helped hundreds of clients to find homes, Karina shaped a distinctive Evans customer service approach. Karina holds an MA in International Studies from the University of Pennsylvania, speaks fluent Russian and English and some Hebrew. As a licensed associate real estate broker at Evans Real Estate Investments, Maria Pogarskaya works with international and local buyers and sellers to execute residential and commercial transactions, as well as working with investors to structure large investment projects. Maria Pogarskaya was previously a client manager at Evans Moscow in Russia, where she headed the sales department, training new agents, working to complete transactions with key clients, and managing all of the firm’s incoming clients. In 2010, Maria Pogarskaya moved to New York to join Evans Real Estate Investments. Since then, she became a top agent of the company. Her client’s portfolio includes but not limited to condo and coops, commercial rentals and sales, townhouses and even houses in suburbs. Maria’s enthusiasm and energy along with deep knowledge of the market and financial experience guarantee client satisfaction at every stage of the transaction. Beyond finding the right property Maria is ready to provide financial analyze, help to apply for mortgage, advise on everything from school to furniture store. Maria Pogarskaya successfully closed the most complicated deals of the company. She is a sincere friend to her clients; she is very professional and always reachable by phone. Maria Pogarskaya holds a master’s degree in economics and management from Moscow State University of Art. Maria speaks Russian and English. Maria is also a Real Estate Licensed Broker in Florida. How I land clients who are pre-sold into working with me using this #1 strategy - predictably AND consistently! PLUS, we’ll have a rapid-fire Q & A ’til you say when! Stephanie Treasure is an Online Marketing Strategist & Business Mentor and International Speaker. She mentors women coaches, consultants and service-based business owners to utilize the Internet to expand their reach, create expert & authority status and enroll more clients without overwhelm. She works with a few private clients at a time in her high-touch coaching programs. She has also rolled out group coaching experiences that allows her to leverage her time and expertise. Her clients have achieved results like: achieving milestone 5-figure Months, getting published in The Huffington Post & other high-profile outlets, becoming published authors, securing speaking opportunities after becoming highly visible, more leads and exposure for their brands all from utilizing her proven strategies. As a CPA who has worn many hats, Iralma Pozo has seen more salaries than she can count. Working in a male dominated environment has made her feel like a fly on the wall when male bosses and counterparts negotiate compensation for salaries and projects. Equal pay day is a constant reminder that women need to take ownership to ask upfront for what a job is worth and not just take what is offered. 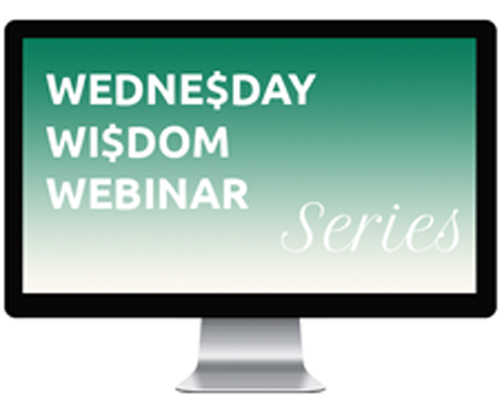 In this webinar, we will discuss how you can act confident and prepare yourself to negotiate a compensation package or raise. Know the value you bring to the table and get paid like a boss lady! Iralma Pozo is a dynamic CPA with more than 15 years of experience. She is currently an independent consultant, educator and motivator who provides value-adding services and empowerment to business owners and individuals. As a proactive professional, she brings her strong leadership to volunteer work with professional accounting organizations. Her extensive experience includes consulting with the nonprofit sector in many capacities including as a financial executive, auditor, and board member. Iralma has also built substantial experience through working for the Internal Revenue Service. These experiences also support her continued work with entrepreneurs, small businesses, real estate investors, and the insurance and entertainment sectors. Iralma is building a practice to bring her financial acumen to companies that focus on a variety of segments that merge her personal passion and professional expertise. These areas include Culture and the Arts, Health and Wellness, and consumer products in beauty, accessories and gifts. Through effective consulting and advisory, Iralma will help these companies run more efficiently and use technology and innovation to build wellness on an individual and global level. Iralma educates college students, business leaders and individuals on how to think as leaders, adapt to change, collaborate and innovate to be successful and well balanced in all areas of their careers and personal lives. She also teaches them how to have a good foundation in accounting so that they can meet their goals and realize their dreams. Annuities are an investment vehicle with a class of its own. An insurance like investment that has many distinct characteristics compared to traditional investments such as stocks, bonds, and mutual funds. Tax treatment, income needs, death benefit needs, and the various types of annuity riders and features all need to be closely examined. Come learn more about what an annuity is and how it may or may not fit in with your personal financial planning needs.